For the first Missouri Wrestling Revival is proud to bring you the fans the first ever trading card featuring a man that is both a referee and an announcer to the MWR trading card set. Born with mild cerebal palsy, Pete Sanctions never let a disability or limitations deter him for pursuing the professional wrestling business. Debuting as a Ring Announcer in August 2003 at the age of 16 in Council Bluffs, Iowa, Pete would go on to announce all over the Midwest from Iowa to Kansas, Illinois and beyond. Sanctions enthusiastic personality and booming introductions are common place wherever he goes. Since 2008, Pete has been official ring announcer for MAGNUM Pro, based in Council Bluffs. 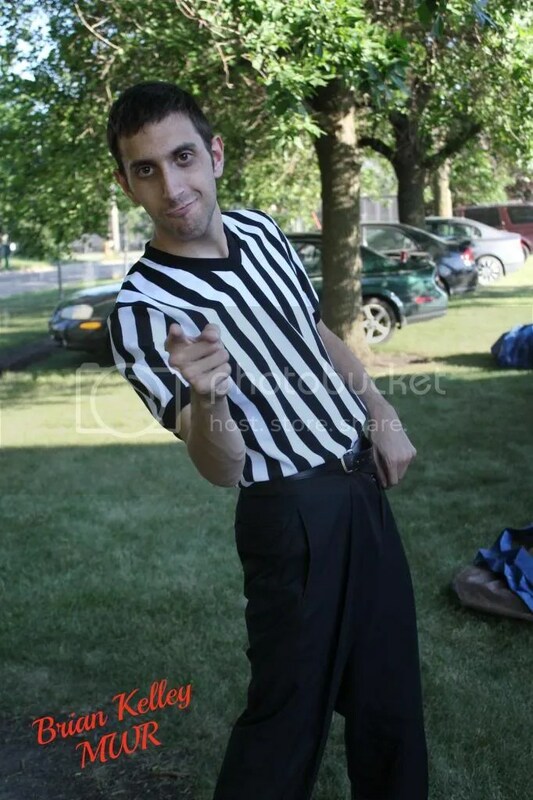 In 2010, Pete Sanctions decided to add stripes to his wardrobe, débuted as a referee for Adrenaline Pro Wrestling out of Milo, Iowa. It was a tough transition from observing at ringside to being right in the middle of the action, but soon after he expanded to Central Empire Wrestling and 3XWrestling. A year later, Sanctions began training at the MAGNUM Pro Dojo in Council Bluffs, but withdrew after the 1st Semester due to injury. But not before participating in a training seminar with then 4 time NWA World Heavyweight Champion “Scrap Iron” Adam Pearce in January of that year. 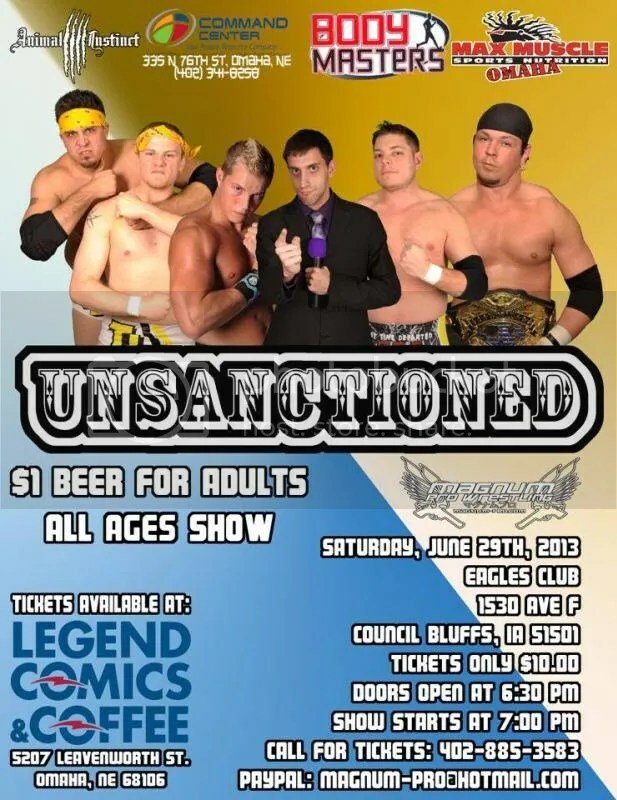 Pete Sanctions continues to perform in both roles today, and occasionally becomes part of the show, appearing as the last entrant in the Chip Douglas Memorial Battle Royal in August 2012, being eliminated by Abu Colossus. 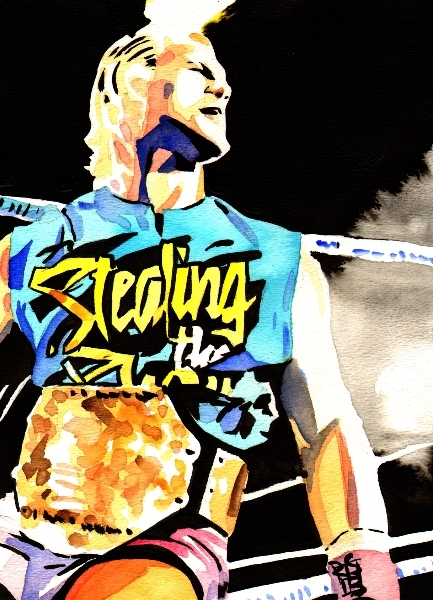 Whether on the road, in the locker room, in the ring or on the mic, Pete Sanctions is a perfect example of a kid with a dream and an undeniable passion for the art form he loves more than anything in the world! This entry was posted on June 11, 2013 at 10:43 am	and is filed under Uncategorized. Tagged: MWR Trading card Series two #11 Pete Sanctions, Pete Sanctions. You can follow any responses to this entry through the RSS 2.0 feed. You can leave a response, or trackback from your own site.